McCormack Plastic Surgery Participating in Baby Expo This Weekend! 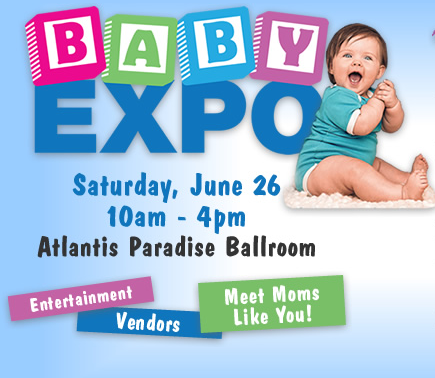 This Saturday, June 26th marks the inaugural Baby Expo event being held at the Atlantis Casino Resort and Spa and McCormack Plastic Surgery is very excited to be a sponsoring company. Dr. Tiffany McCormack and her talented team will host a booth to provide information about the latest treatment options and products designed especially for mothers on the go. We’ll be discussing our new fat freezing machine Zeltq – an exciting non-surgical alternative to liposuction as well as new advancements in laser procedures that require little downtime. In addition to special discounts, Dr. McCormack will be on site to candidly answer your questions about plastic surgery and provide complementary mini-consultations to address your specific concerns. Many seek out Dr. McCormack not only because of her reputation for creating natural results, but also because of her ability to relate to post-pregnancy body changes as a mother herself. We hope we’ll have a chance to meet you this weekend too! For more information on the event or directions to find us there, please call our office at (775) 284-2020.